Watercolor on watercolor paper, 25.25″ x 19.75″ x 2.5â€³, framed in a dark wood frame, created in 2003. This painting is a collage. 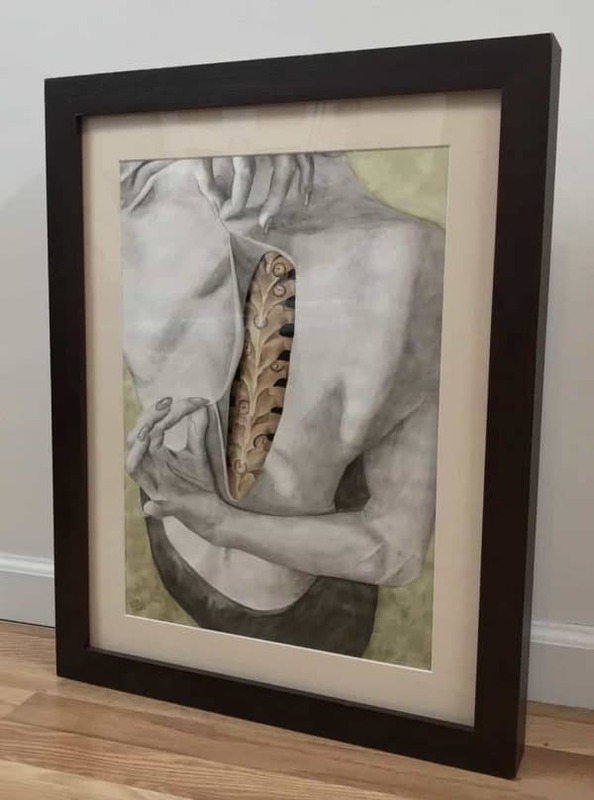 The hole in the skin is a hole in one piece of watercolor, with another piece of watercolor placed below the first piece and curved to give the illusion of an actual spine. The spine has clocks on throughout to illustrate the passage of time in the back of a dancer. This painting was one in a series of collages Gayle made from 2003-2006 showing various internal workings of the body. 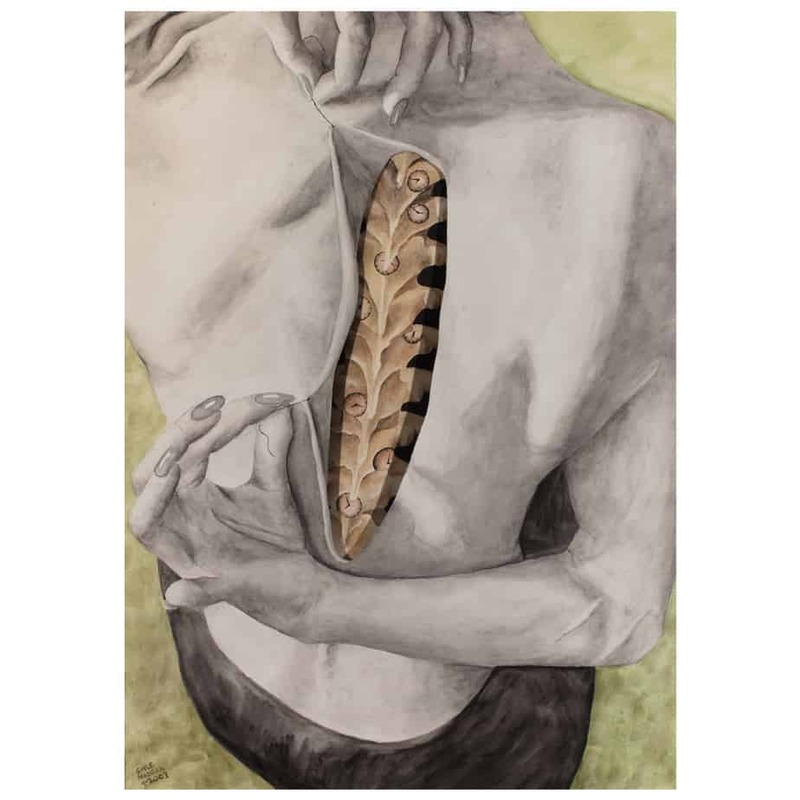 This painting won theÂ Dorothy Tabak Memorial Award for collage at the National Association of Women Artist’s annual show in 2004. If you want to pick up this piece from Gayle in NYC and pay for it when you get it, select â€œCODâ€ (cash on delivery) and â€œlocal deliveryâ€ when checking out. If you would like to see the work in person in NYC before buying it, pleaseÂ contact Gayle. The dimensions written in the â€œAdditional Informationâ€ section below are for the size of the box this item would be mailed in, if it is mailed. The actual size of the piece is listed above. The artist retains all licensing rights to the work â€“ i.e. the buyer cannot use this image to sell any products or merchandise such as cards, t-shirts, mugs, etc.